Who Knew? Facebook in the 1500-1700’s | Second Go! 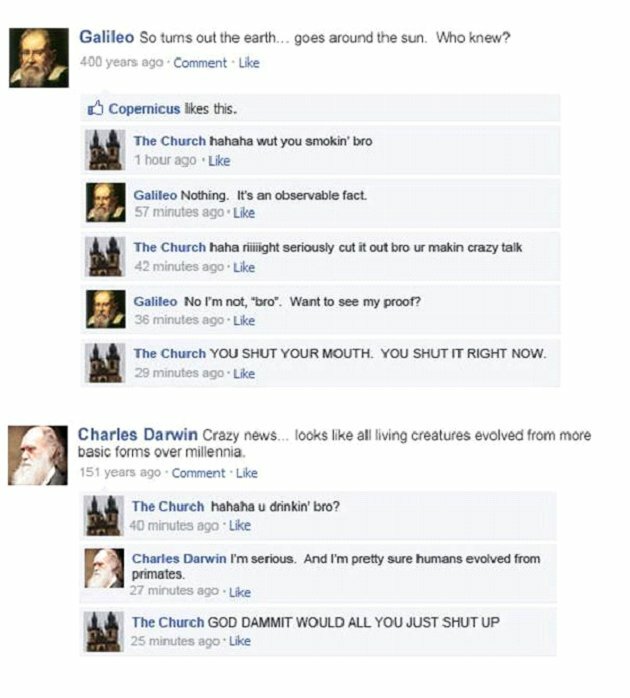 I thought this was really funny, to think of the great scientists posting their discoveries on Facebook. And because of the response of the church. You must click the picture to enlarge it to see it more clearly. I insist!! !